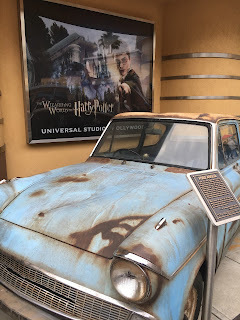 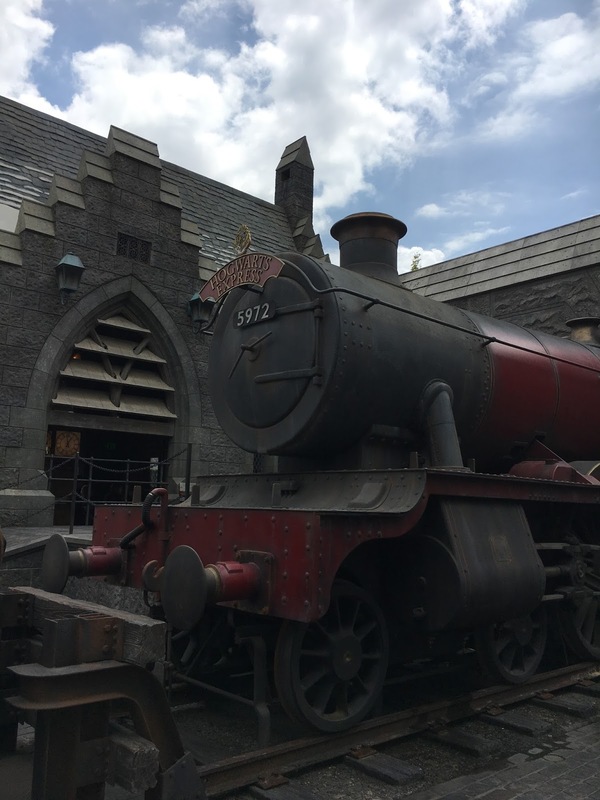 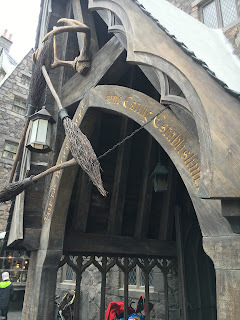 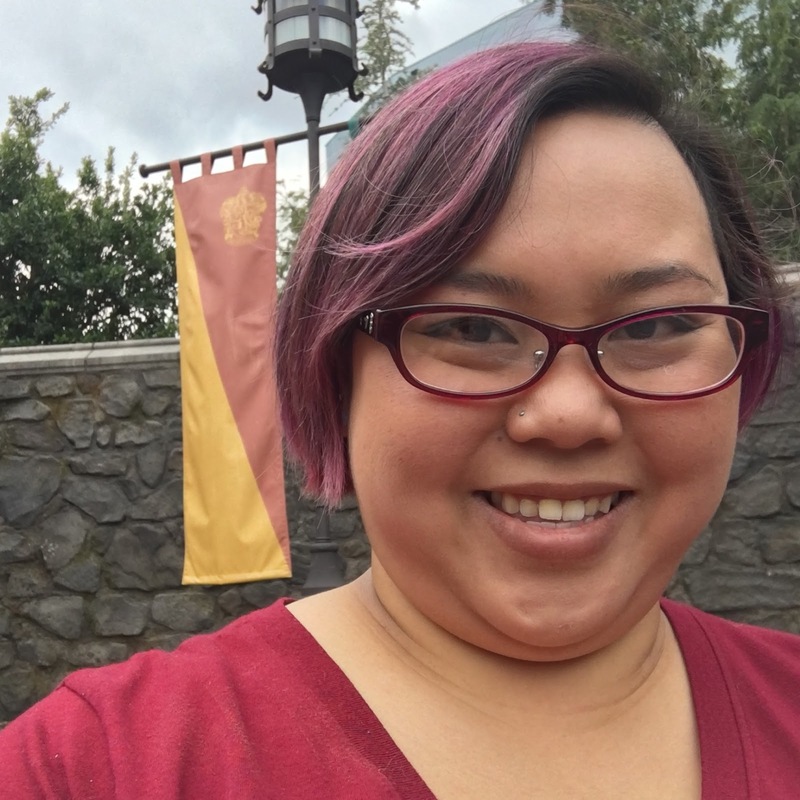 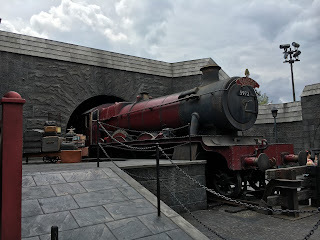 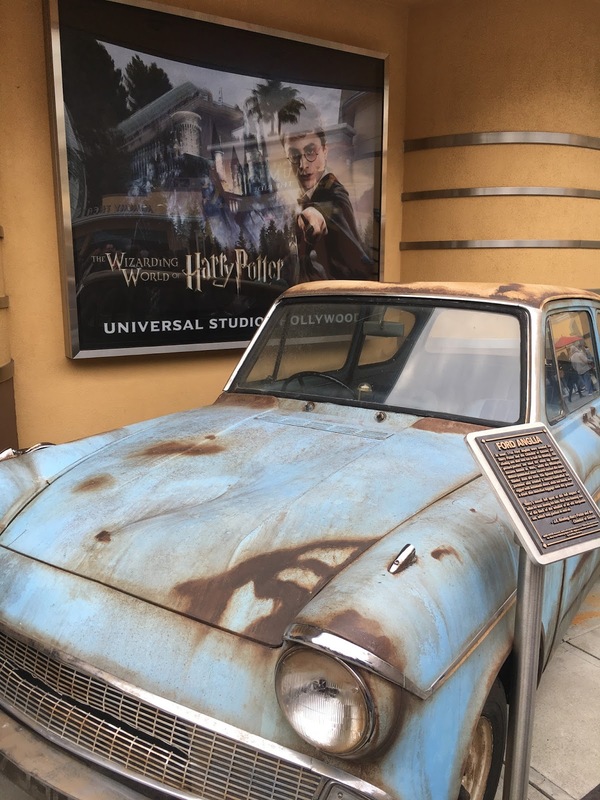 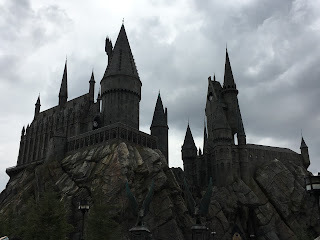 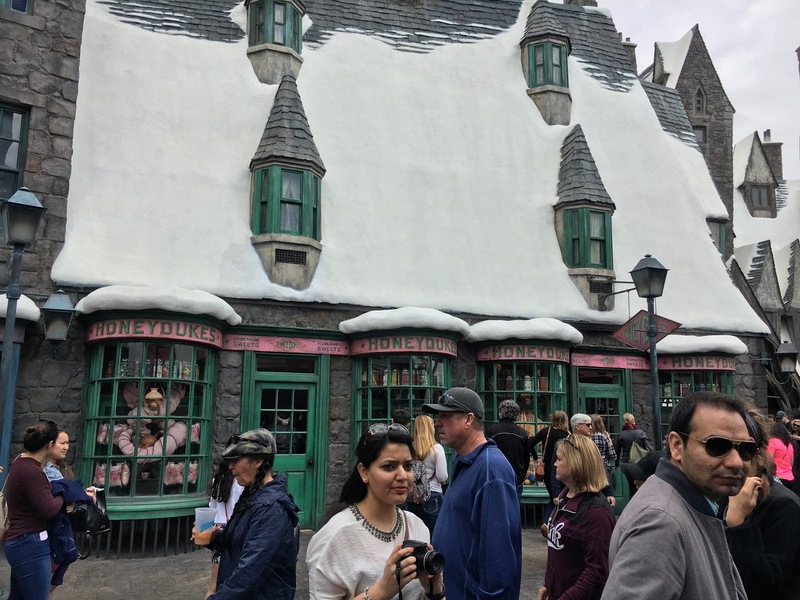 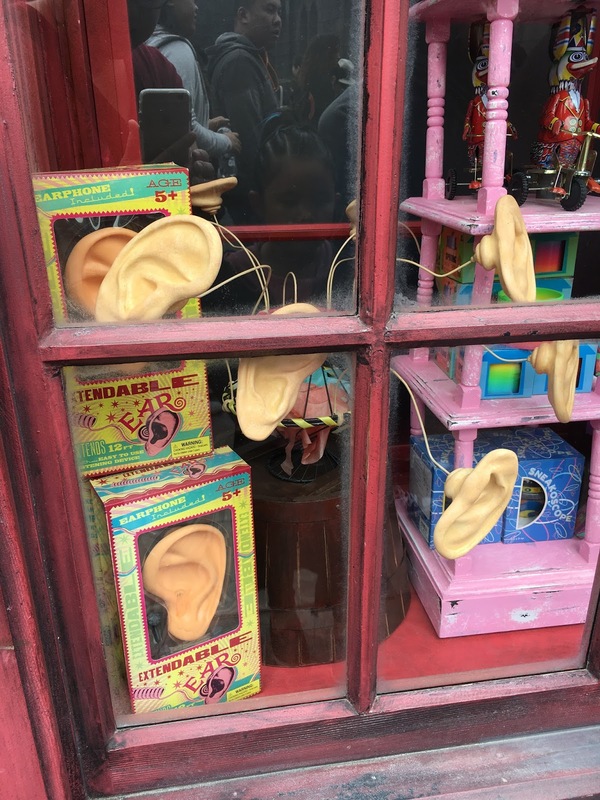 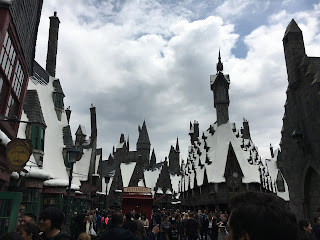 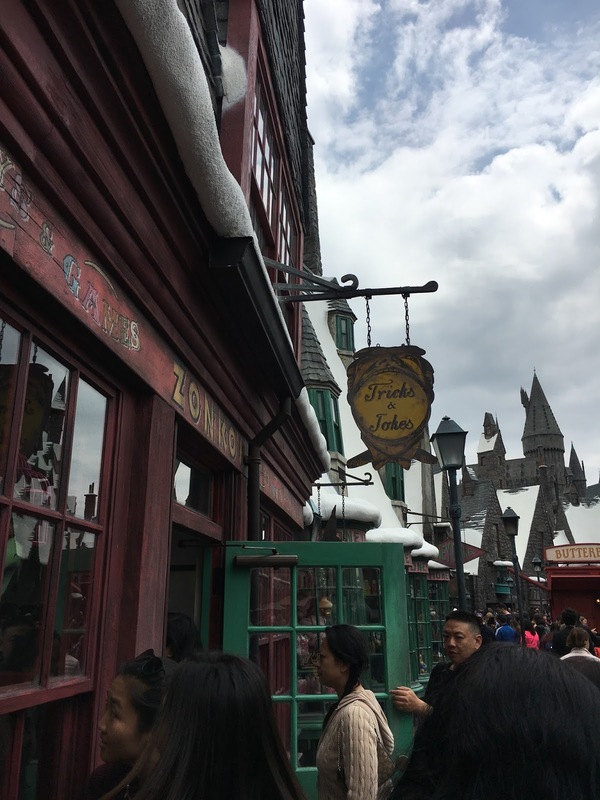 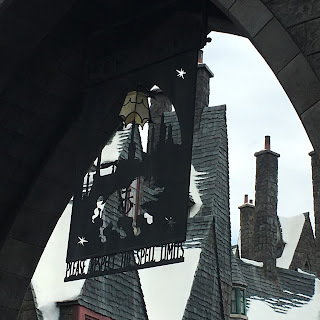 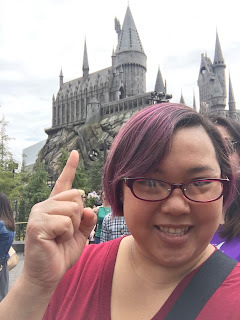 On a recent trip to SoCal for a Disney race, I decided that I HAD to visit the new Wizarding World of Harry Potter that just opened at Universal Studios. Because how can I NOT, right? 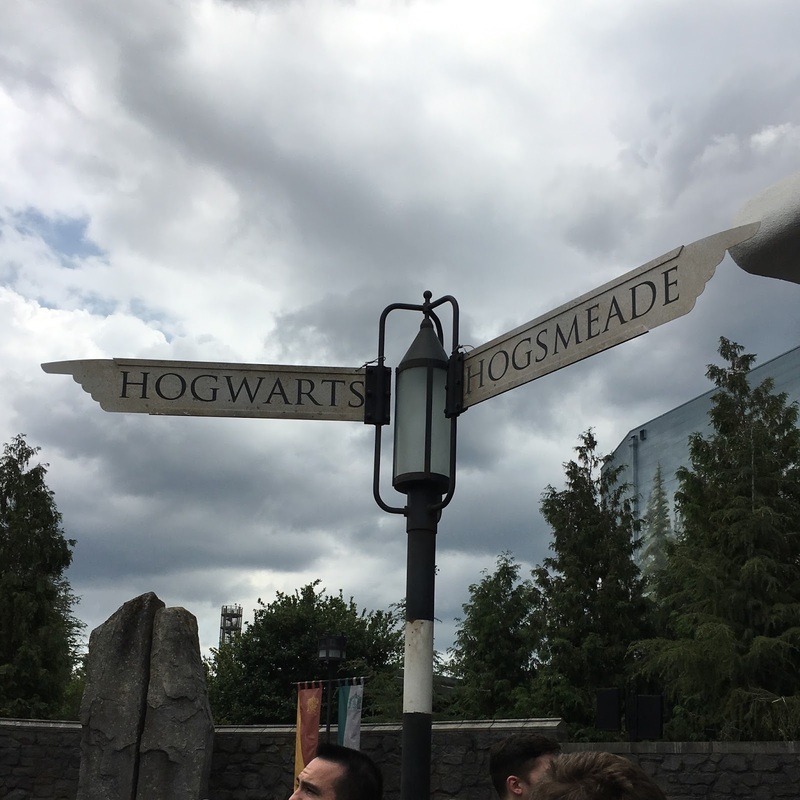 It's a small "land" within the theme park, with two rides, lots of shops, and of course, FOOD. 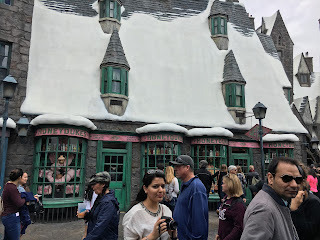 My general plan was to take lots of pictures and to eat lots of things, because while I can read the books and watch the movies at home anytime I want, what I can't do anytime I want is have official butterbeer. 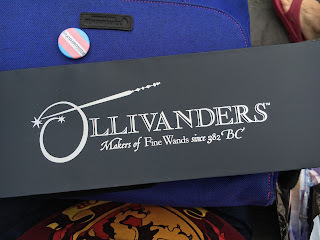 So basically, this is going to be a pic-heavy post, just to warn you. 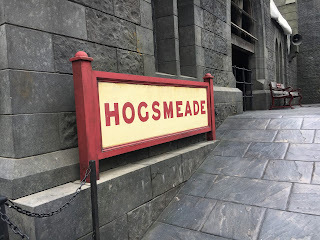 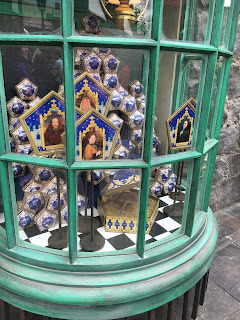 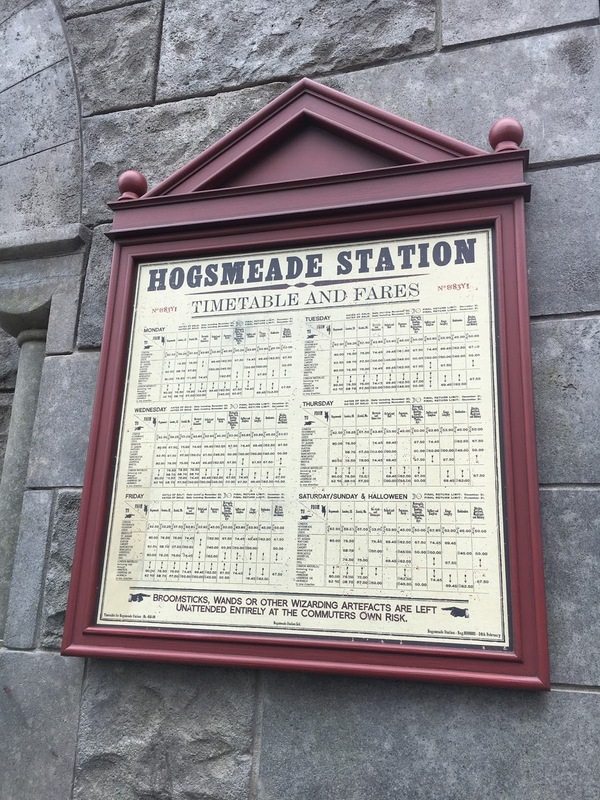 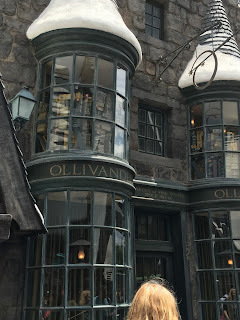 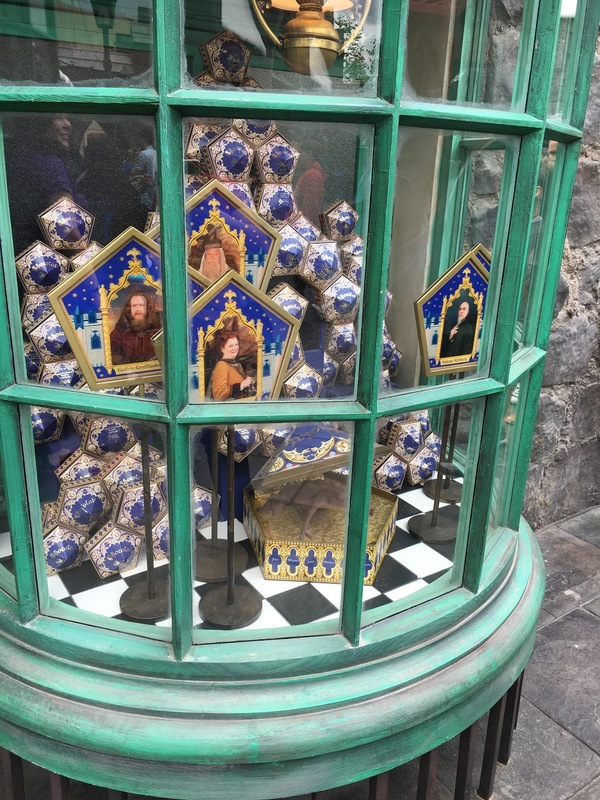 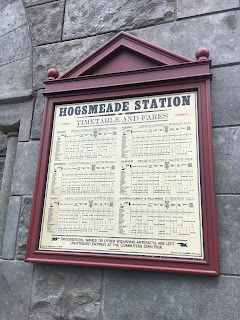 The general "area" they set up is Hogsmeade, and it has Hogsmeadey places, but it also has Diagon Alley places like Ollivanders and shops that sell robes and uniforms and such. There are two rides, one of which is a simulator tucked into the "mountain" that Hogwarts sits on (in the picture above). 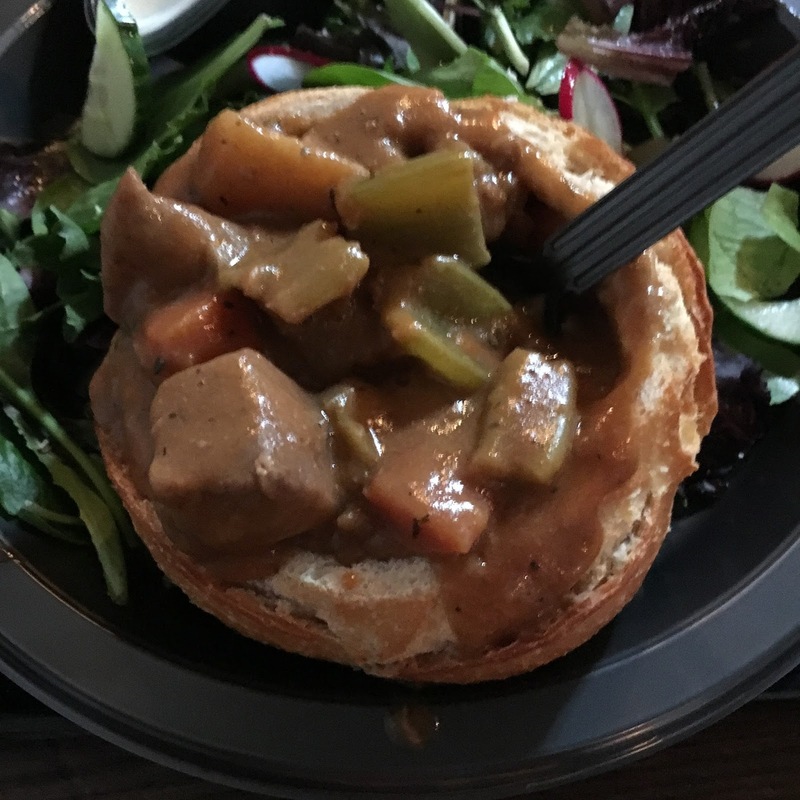 I didn't ride the rides, because, well, food. 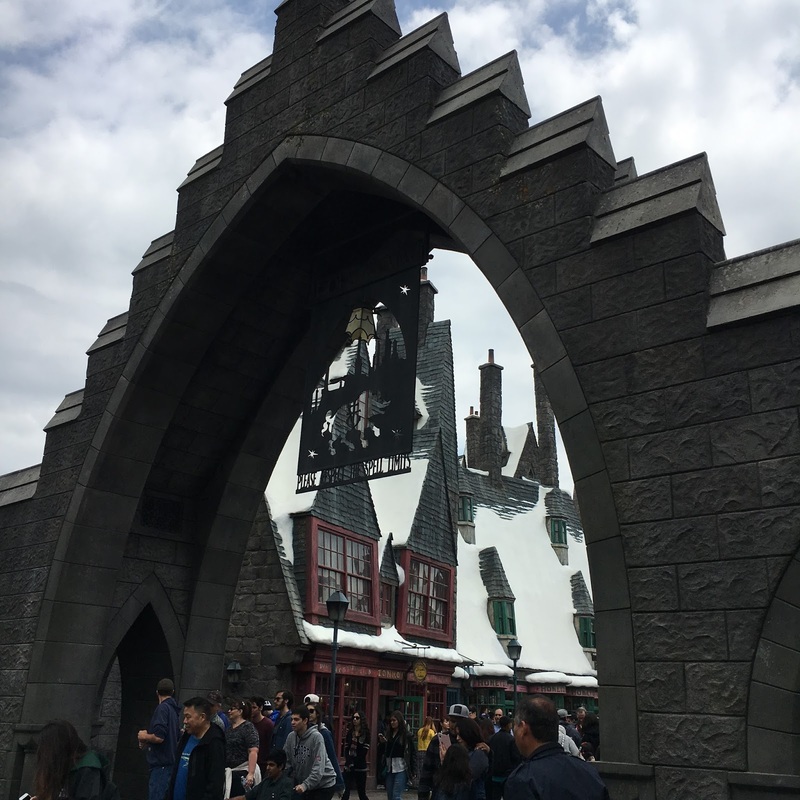 The other is a small outdor coaster called Flight of the Hippogriff. 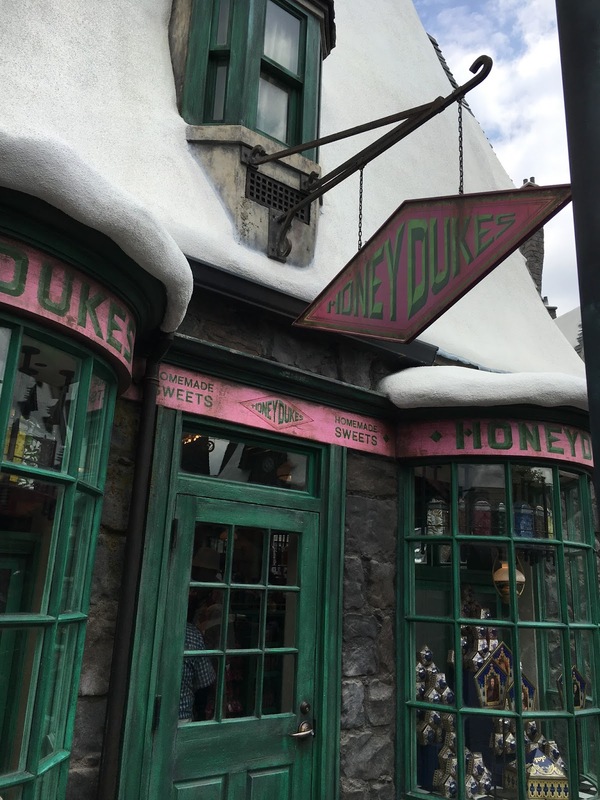 Here's the entrance to Hogsmeade. 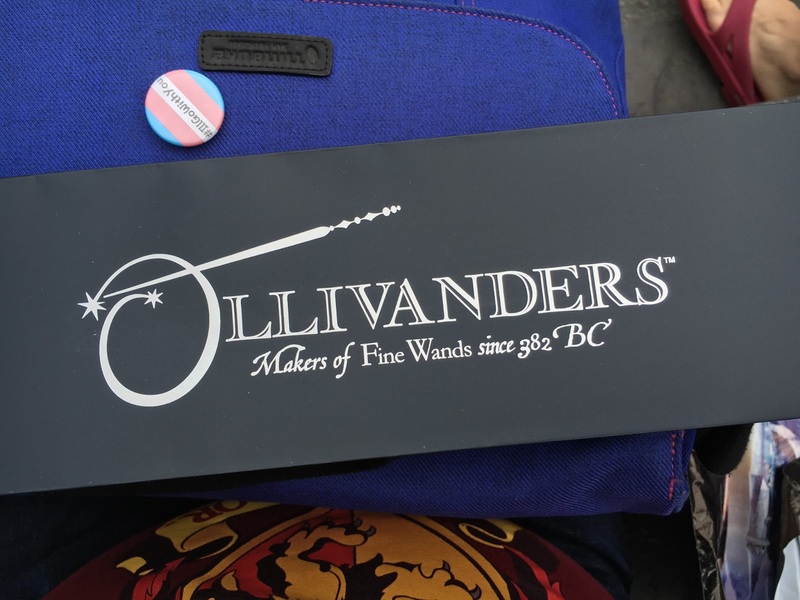 "Please respect the spell limits," it says. It was perfectly overcast that day, so it really suited the snowy village aesthetic. 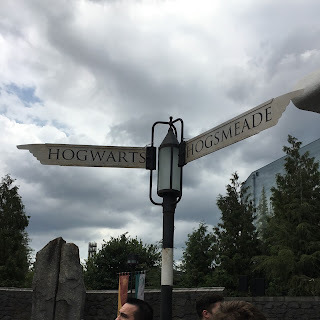 It really was like stepping into an entirely different world! 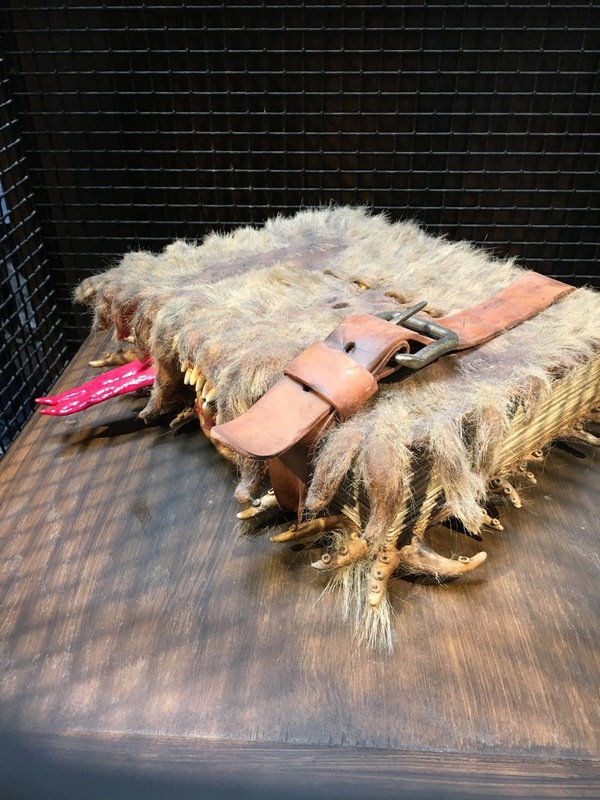 I loved all the attention to detail. 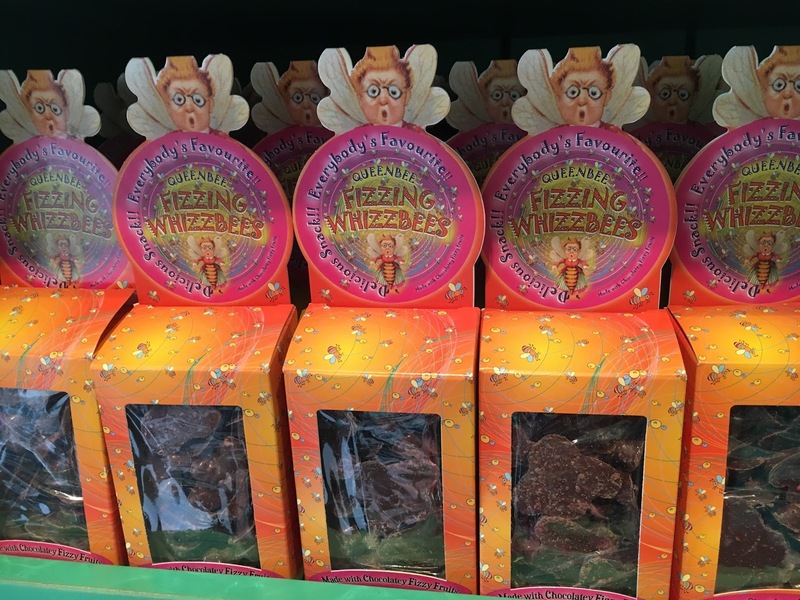 All the candy you can expect, and more. 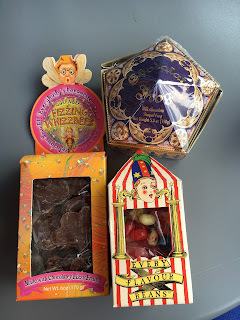 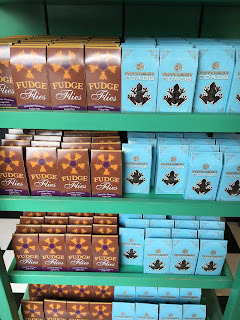 I bought a chocolate frog, some Fizzing Whizbees, and some Bertie Bott's Every Flavour Beans, which I'm not in a hurry to taste. PUMPKIN JUICE. 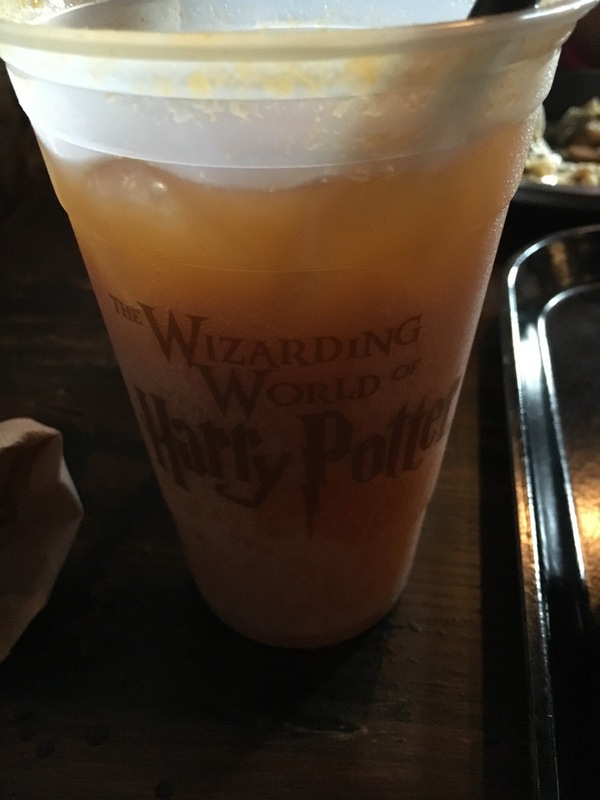 Ever since they first mentioned pumpkin juice in the books, I've wanted to try it. 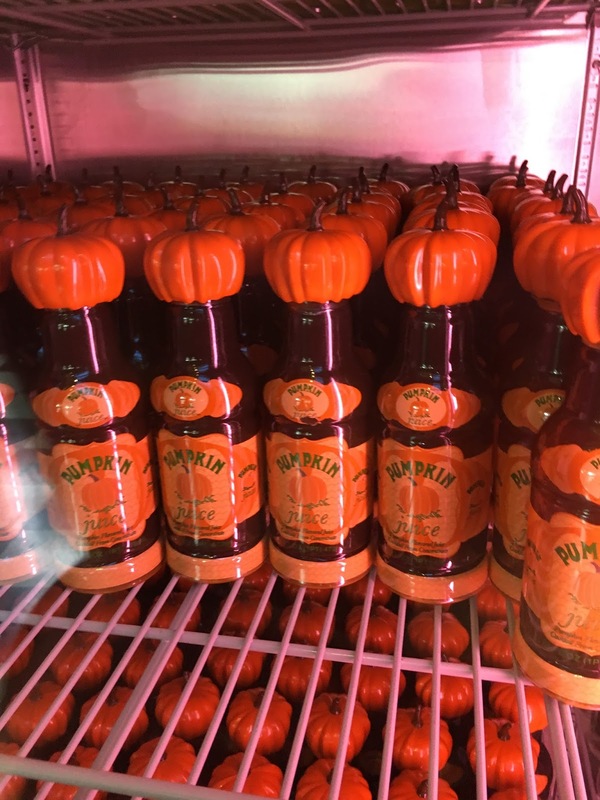 I know I can get pumpkin spice whatever drinks in the fall, but I was always like, WTH is pumpkin juice??? 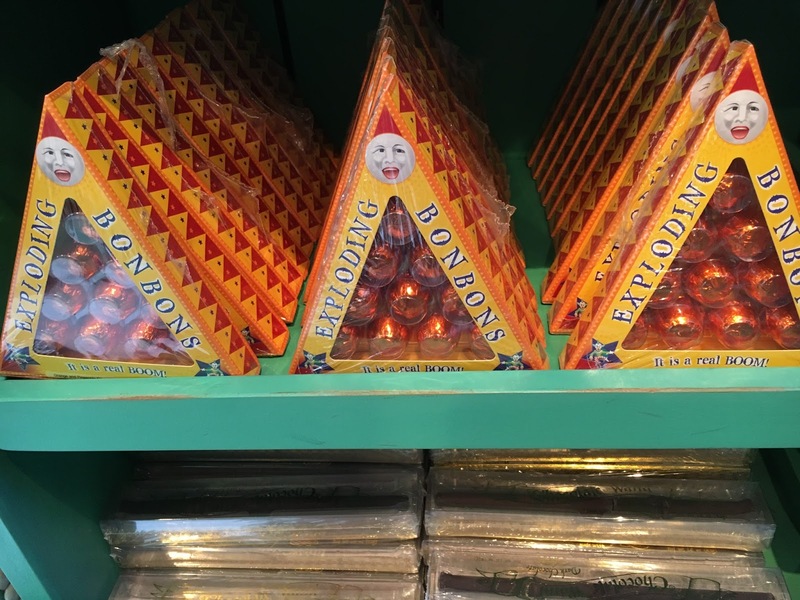 Well, I bought some. For the benefit of those of you who can't try it yourselves, it was like, apple juice but with spices and a kick of pumpkin flavor. It was rather sweet, but very good! 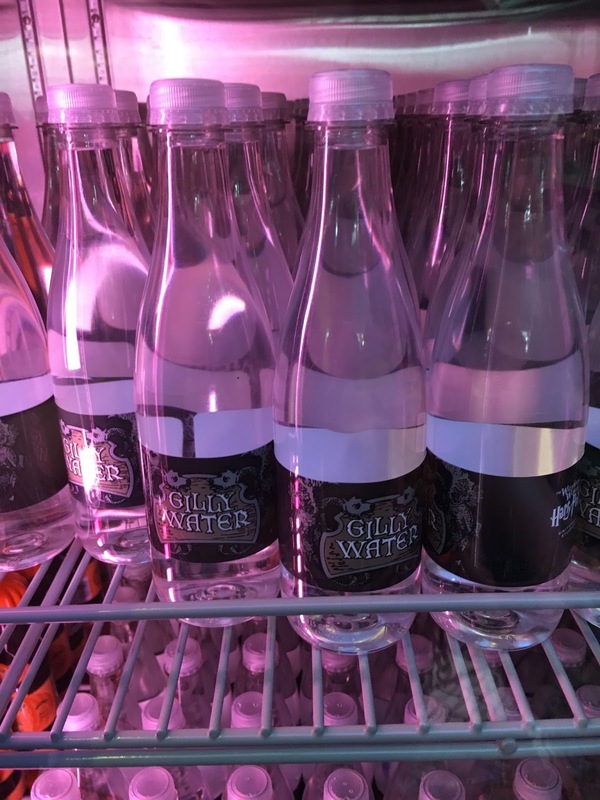 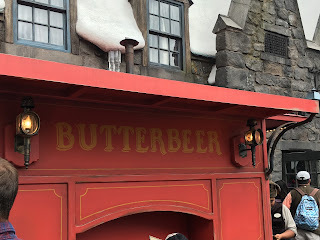 And we can't talk HP drinks without talking BUTTERBEER. 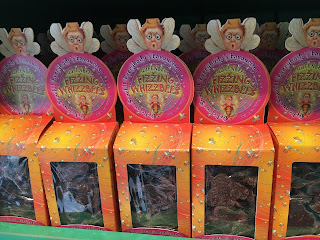 They have two varieties - regular (cold), and frozen. They add a head of cream on top, to make it look like beer head, and you can get a regular plastic cup or a special stein. 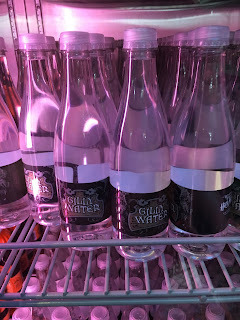 I opted for regular, and it basically tastes like butterscotch soda. 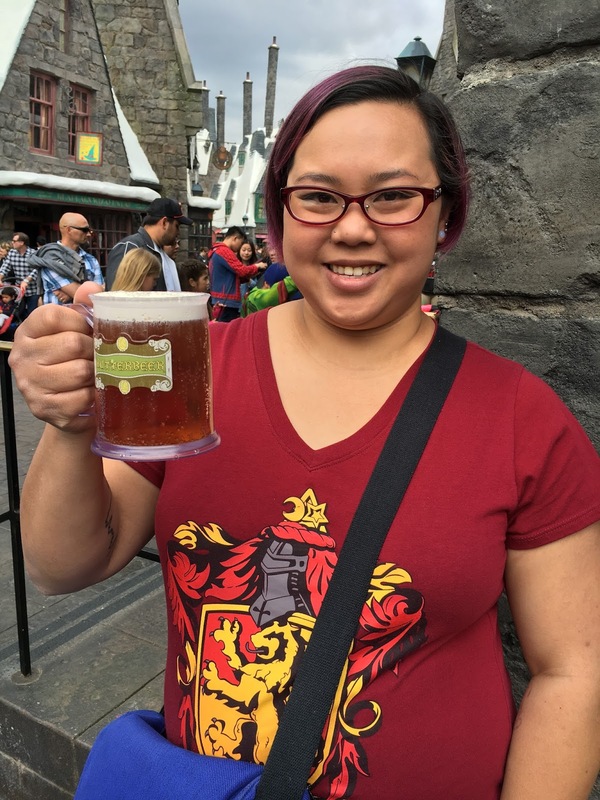 My sister-in-law got the frozen kind, which I agree is the superior kind - it's basically like an Icee. Butterbeer is pretty magical, and I regret that I did not drink more while I was there.